As banks try to grab more deposit market share and attract more business clients, they are scooping up experienced personnel from competitors and giving them new roles. Big players in the region are also hiring and promoting new people to important roles, eager to keep their edge over their competitors. Here is a look at one up-and-comer at area banks; click here to see more. Michael P. McMahon received a promotion at KeyBank last year, as well as some recognition. 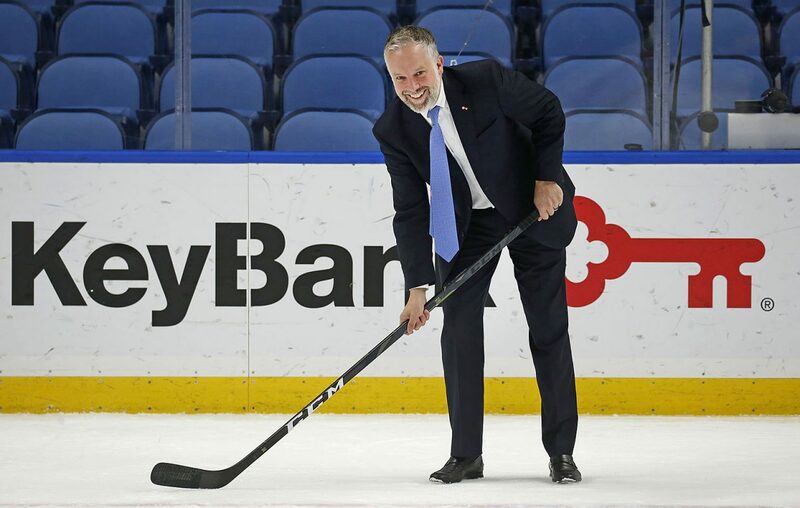 McMahon was appointed commercial bank sales leader for Buffalo, after Anthony Rizzo retired. And the Upstate Capital Association of New York recently named him the group's middle market dealmaker of the year. Since 2001, McMahon had worked at different banks, but he decided the time had to come to stay with one bank and develop his career. He saw Key as his best choice and was hired in 2014. "What got me over the hump to get me here was the fact that Key was willing to sit down with me and put a plan in place: 'Here's how we're going to help you grow,' " McMahon said. " 'You're going to have to go out and do it yourself, but we'll put the steps in front of you.' And they did that." The Upstate Capital Association of New York said McMahon was nominated for his overall dealmaking ability. The group said McMahon is not only an accomplished banker at KeyBank, but "is always willing to go the extra mile for his clients by reaching out to investors to help get a transaction done when needed."